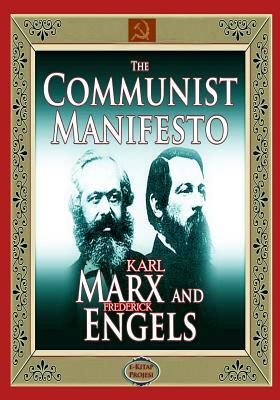 The "Manifesto of the Communist Party" was written by Marx and Engels as the Communist League's programme on the instruction of its Second Congress (London, November 29-December 8, 1847), which signified a victory for the followers of a new proletarian line during the discussion of the programme questions. When Congress was still in preparation, Marx and Engels arrived at the conclusion that the final programme document should be in the form of a Party manifesto (see Engels' letter to Marx of November 23-24, 1847). The catechism form usual for the secret societies of the time and retained in the "Draft of a Communist Confession of Faith" and "Principles of Communism," was not suitable for a full and substantial exposition of the new revolutionary world outlook, for a comprehensive formulation of the proletarian movement's aims and tasks. See also "Demands of the Communist Party in Germany," issued by Marx soon after publication of the Manifesto, which addressed the immediate demands of the movement. Marx and Engels began working together on the Manifesto while they were still in London immediately after the congress, and continued until about December 13 when Marx returned to Brussels; they resumed their work four days later (December 17) when Engels arrived there. After Engels' departure for Paris at the end of December and up to his return on January 31, Marx worked on the Manifesto alone. The first edition of the Manifesto was a 23-page pamphlet in a dark green cover. In April-May 1848 another edition was put out. The text took up 30 pages, some misprints of the first edition were corrected, and the punctuation improved. Subsequently this text was used by Marx and Engels as a basis for later authorised editions. Between March and July 1848 the Manifesto was printed in the Deutsche Londoner Zeitung, a democratic newspaper of the German emigrants. Already that same year numerous efforts were made to publish the Manifesto in other European languages. A Danish, a Polish (in Paris) and a Swedish (under a different title: "The Voice of Communism. Declaration of the Communist Party") editions appeared in 1848. The translations into French, Italian and Spanish made at that time remained unpublished. In April 1848, Engels, then in Barmen, was translating the Manifesto into English, but he managed to translate only half of it, and the first English translation, made by Helen Macfarlane, was not published until two years later, between June and November 1850, in the Chartist journal The Red Republican. Its editor, Julian Harney, named the authors for the first time in the introduction to this publication. All earlier and many subsequent editions of the Manifesto were anonymous.